We remember the sacrifices many gave at Pearl Harbor. 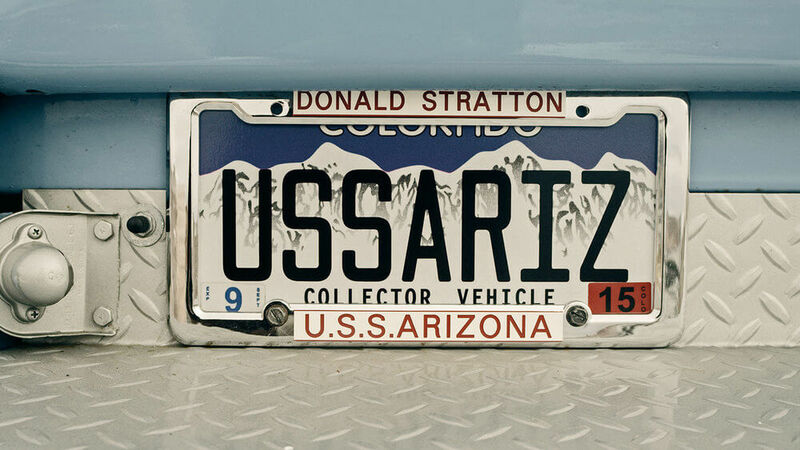 We are honored to share Donald Stratton’s story. “I only buy American,” Donald says. Plenty of people share this sentiment, but when it comes from the mouth of Donald Stratton, it carries a different weight. 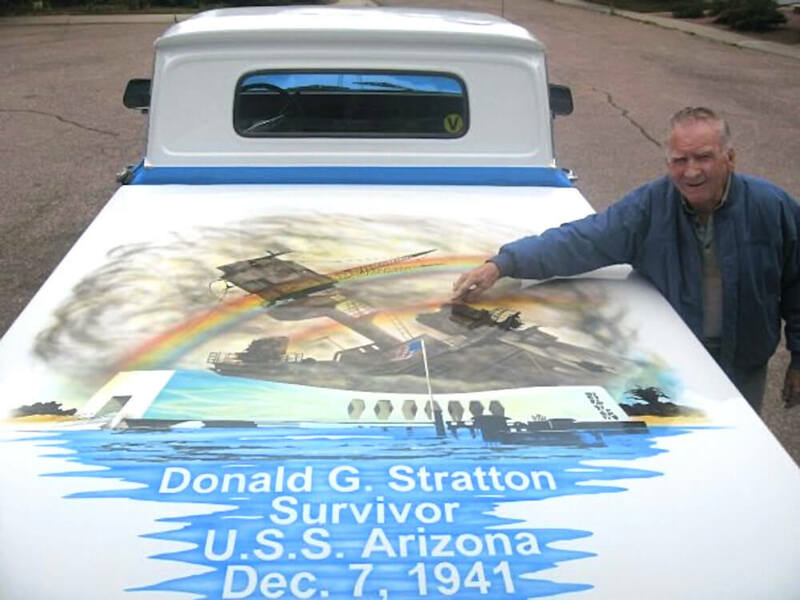 After not only serving our country, but being one of few remaining sailors to have survived the bombing of the USS Arizona, Donald Stratton found his way to trucks. Following his military career, he went to work with deep-sea divers as an able seaman, a barge master, and diver tender. His fellow divers used trucks to haul what was then in excess of one-hundred and fifty pounds of gear per diver. After enough deep sea excursions, Donald realized he needed a truck of his own. 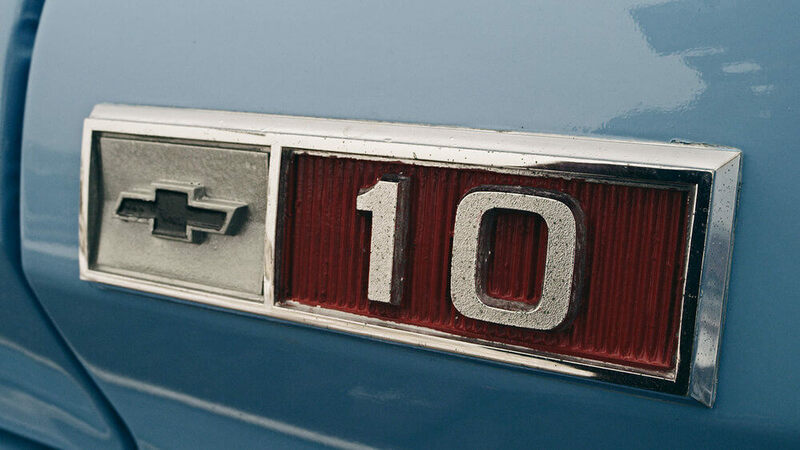 Finally, in 1971, Donald bought his ‘65 Chevrolet off a Santa Barbara lot and has spent every year since restoring it. 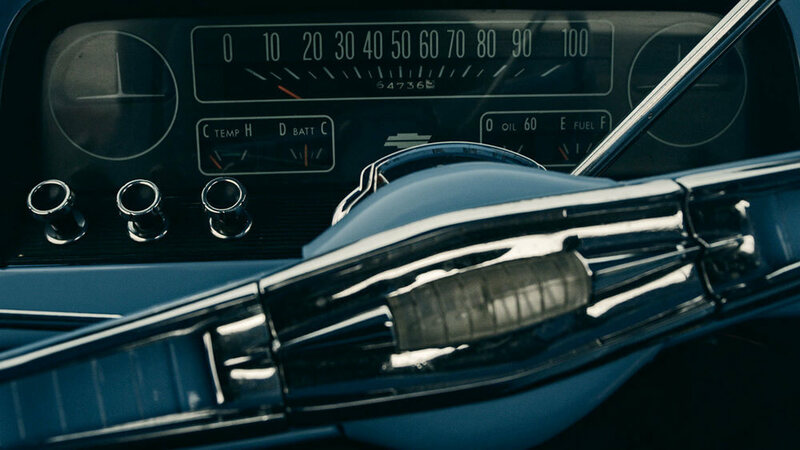 The odometer topped out at one-hundred and sixty thousand miles, but Donald estimates it probably has another one-hundred thousand miles gone uncounted. 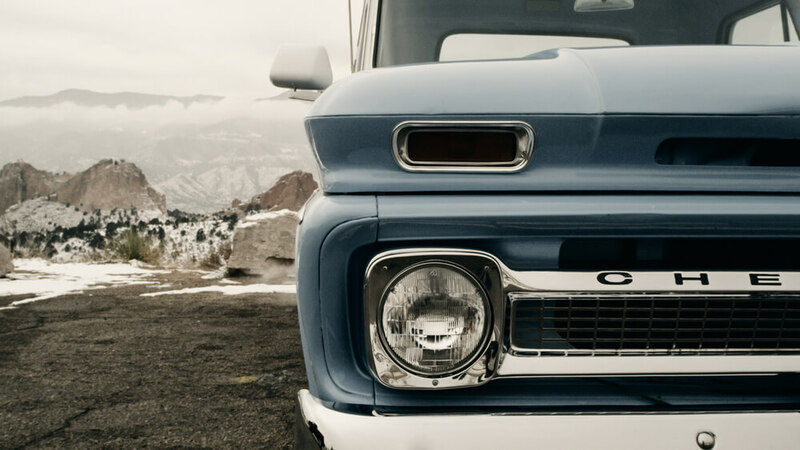 The engine, a 283 bored out to a 292, is still original. 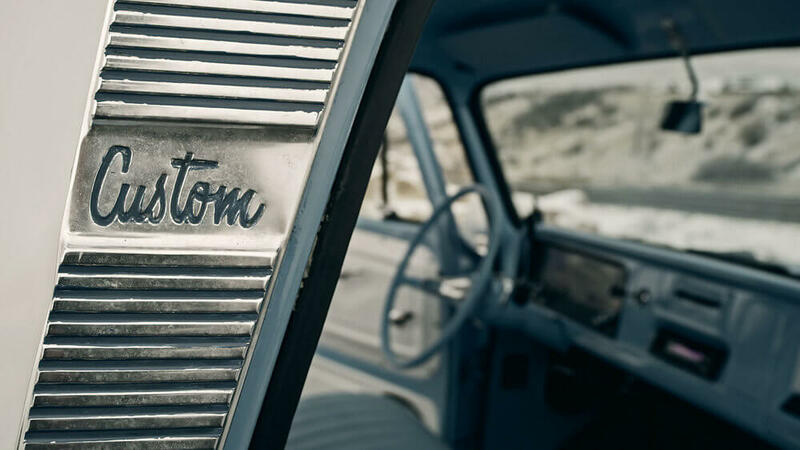 With the help of his son Randy, the Stratton family continues to renovate the truck, just recently having had power steering installed. 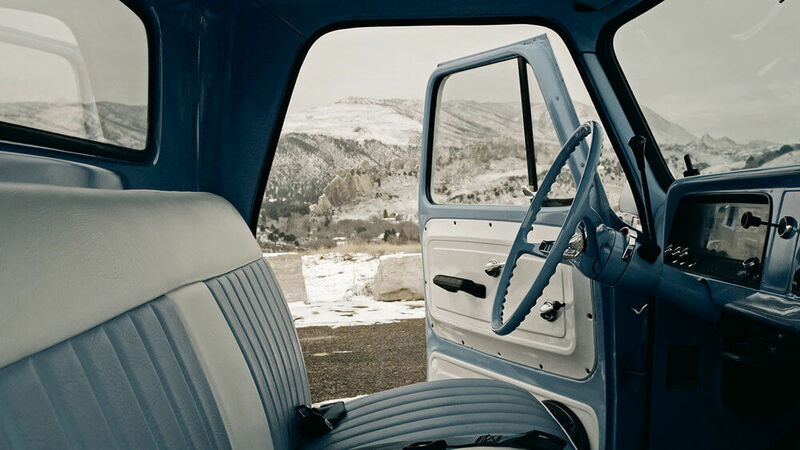 “It drives nice now, boy. It runs sweet,” Donald claims with a sly grin. 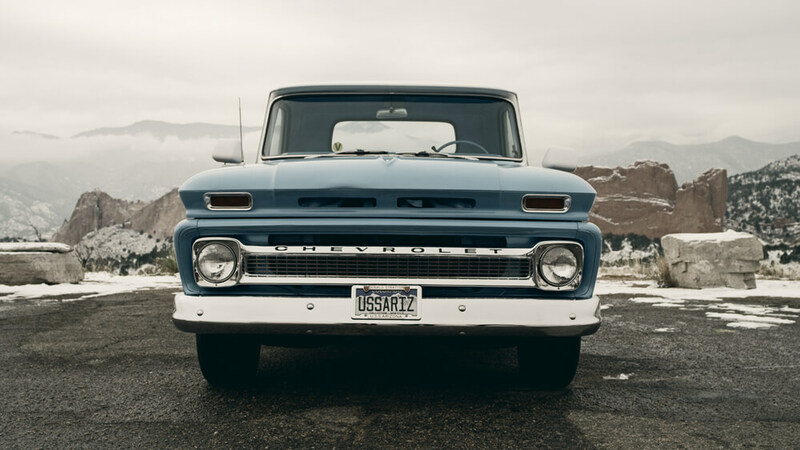 With a cream interior, polished chrome and a dreamy blue body, the Chevy shines like a medal befitting a living legend. “I just don’t want to get rid of it,” he states. 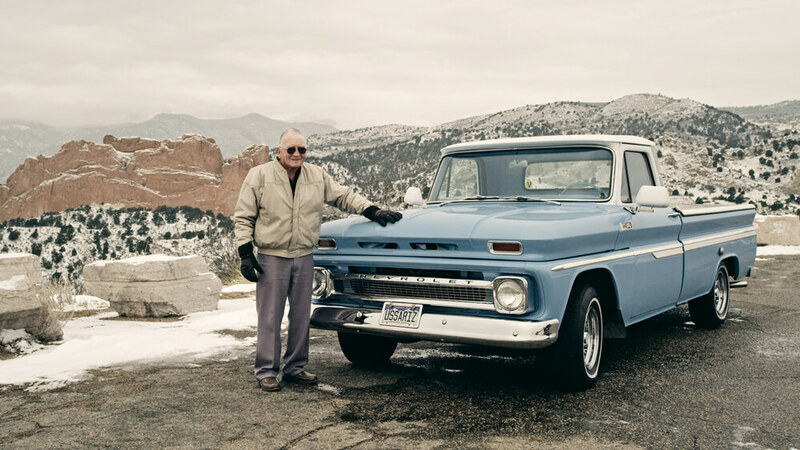 For Donald Stratton, the truck is another icon, another historical piece of treasure that, to him, embodies history and Americana itself.